Axel CLERGET, team world champion and bronze medalist at the last world championships. 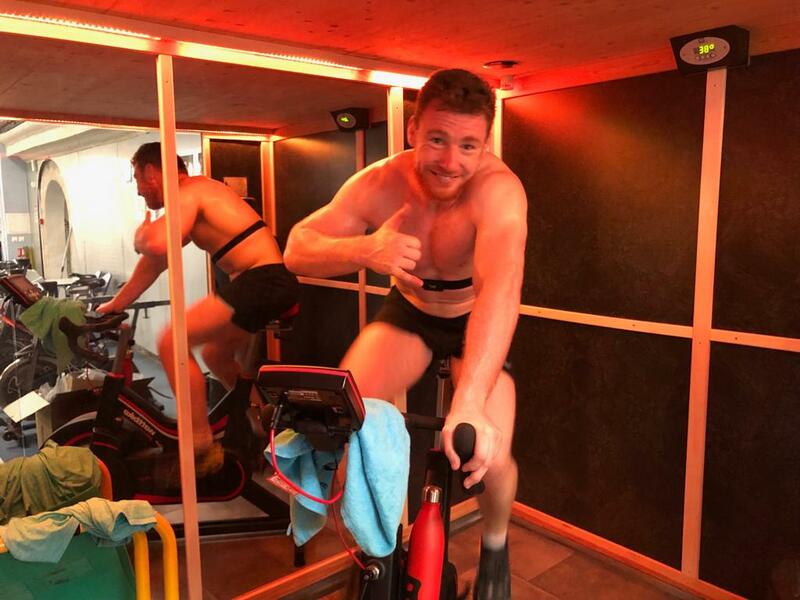 After a work of explosiveness using jumps, Axel "finished" his day of training with a muscle toning session on Watt Bike in the Thermo Training Room of CREPS Paca training center, with PPAE Christophe KELLER. 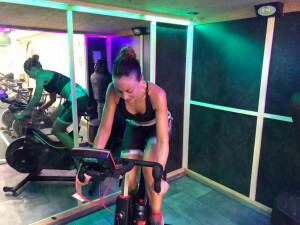 Back to training for Linda GIRAUD (CPG athletics - Cycles Sordello), in the Thermo Training Room of CREPS Paca trainng center, in preparation for various mountain races and long-distance triathlon for the 2019 season : with PPAE - Christophe KELLER. 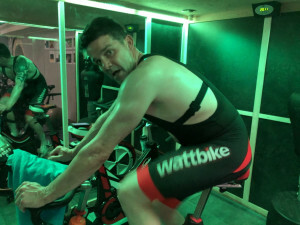 Fabrice Vettoretti, former coach of the French BMX teams and currently physical trainer at the CREPS PACA training center, in full cardio training session at 40°C (110°F). 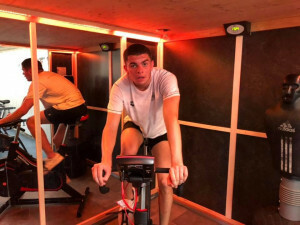 High intensity cardio training (3x per week, 1h at 40°C / 110°F), for Corentin TRINEZ in the Thermo Training Room of the CREPS PACA Antibes training center, with PPAE – Christophe Keller. Train in the heat to perform ! A study shows an increase in muscle strength of 17% after only 11 training sessions of 1 hour in a hot environment! 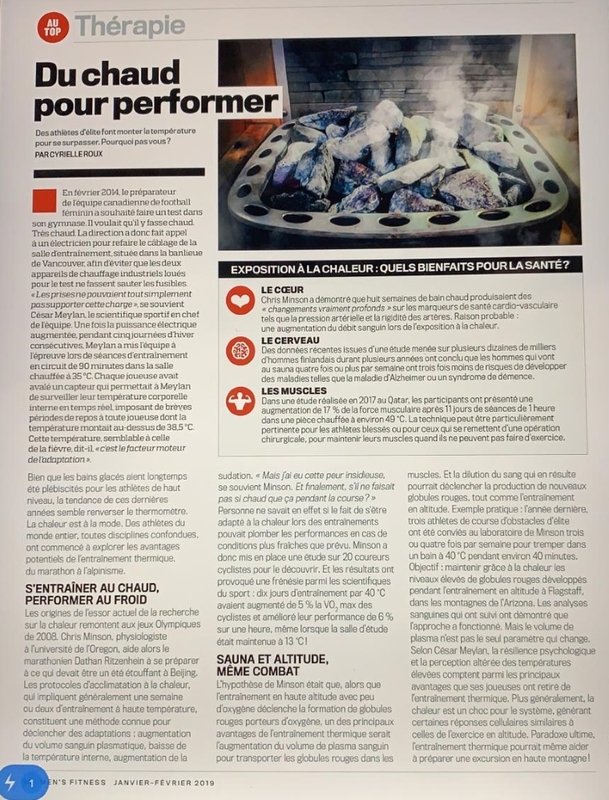 Article to discover in the edition Men's Fitness # 31, by Cyrielle Roux. Goal : 7 marathons, in 7 days, on 7 continents ! Stéphanie is an exceptional athlete, who trains 20h/week, including 1h sessions on treadmills in the Thermo Training Room of INSEP. BRAVO champion. 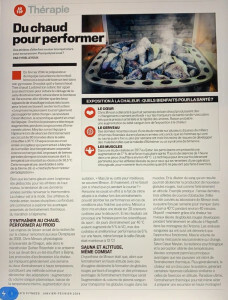 Reportage to discover on TF1 and LCI chanels. The Thermo Training Room is CUSTOM-MADE, according to your needs and sporting objectives. Construction in progress of a TTR of 18m2 (200 sq ft) for a training center for high level athletes. 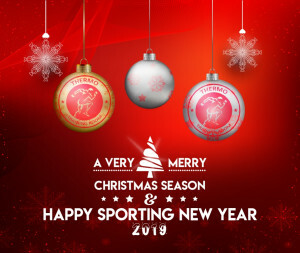 VIVALTO SPORT is a medical and sports center very near the Saint-Grégoire Private Hospital. 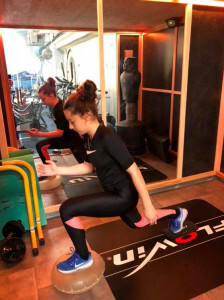 You can practice different physical activities (including training in Thermo Training Room ...) according to your own goals and abilities, from beginner to high level athlete. 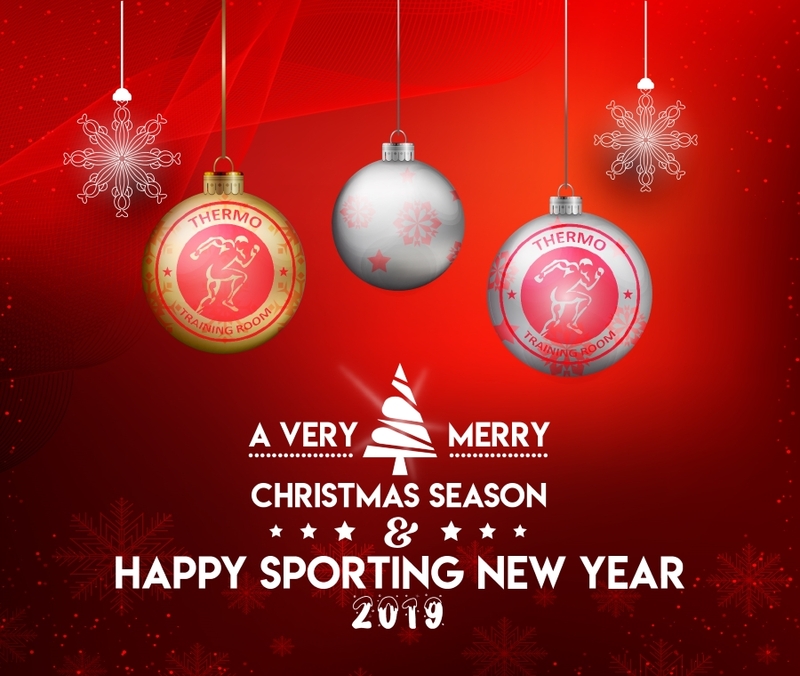 VIVALTO SPORT offers you a personalized approach and accompanies you in a healthy practice of physical activity by a complete medical supervision and personalized sports coaching. Heat acclimation session for our champions, Jean-Batiste BERNAZ : World Vice-Champion (Laser), Hyppolite MACHETTI et Sidoine DANTES : double World Youth Champions 2017 et 2018 (470). Cardio training at 40°C (110°F) in the Thermo Training Room of the CREPS Paca training center. This is the resumption of training for Julie FROETSCHER, bronze medal at the French Elite Championships. On the program, strengthening muscles with kettlebell © in the Thermo Training Room of the CREPS PACA training center, with PPAE Christophe Keller. It’s at the gates of Paris, very close to the private hospital of Antony, that our new partner center opens its doors now. 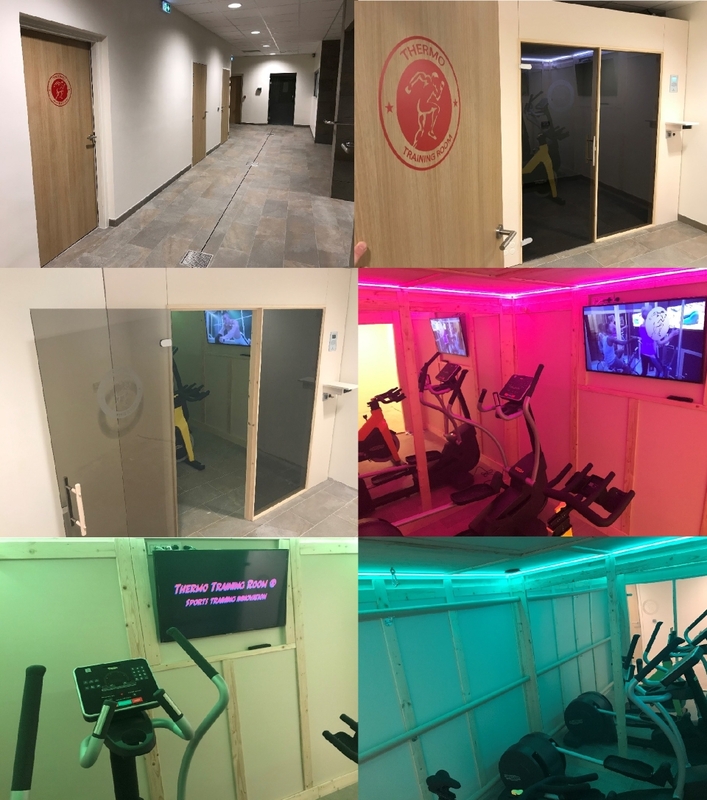 OLYMPE SANTE is a center of 1500m2 serving HEALTH, SPORT and PERFORMANCE, for all, regardless of age and level of practice. 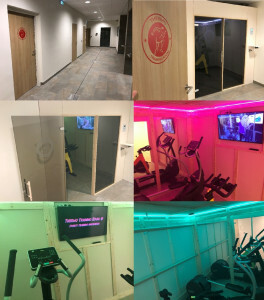 Four differents areas offer you a new accompaniment to preserve your health and allow you to reach your sports objectives : imagery; consultation; physiotherapy-rehabilitation and sport (thermo training room, hypoxic chamber, training in weightlessness, crossfit, cryotherapy chamber…). 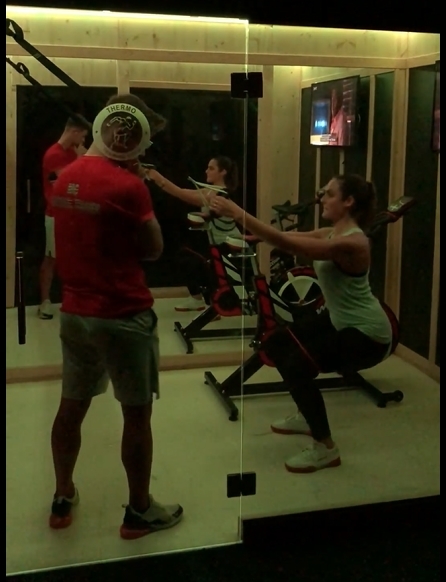 Muscle strengthening session in isometry and balance work for the skater Ilona LUNATTI, in the Thermo Training Room of CREPS PACA training center, with PPAE Christophe Keller. 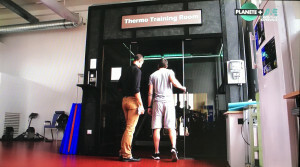 Recently, researchers at the Sport Science Expertise research center in Reims conducted a study on osteoarthritis and physical activity in the Thermo Training Room. 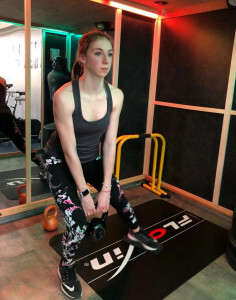 The specific far infrared heat (FIR) associated with physical exercises would help reduce pain and increase mobility and joint amplitude, on people with osteoarthritis. 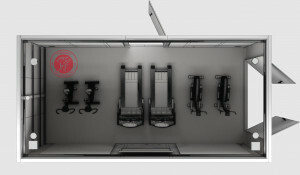 The study is not yet available but it corroborates the benefits of the Thermo Training Room which produces radiation identical to that used in thermotherapy, especially to fight against fibromyalgia. The study was carried out in collaboration with the UFR STAPS of Reims - the University of Reims Champagne-Ardenne (URCA) and the Haute École Robert Schuman. 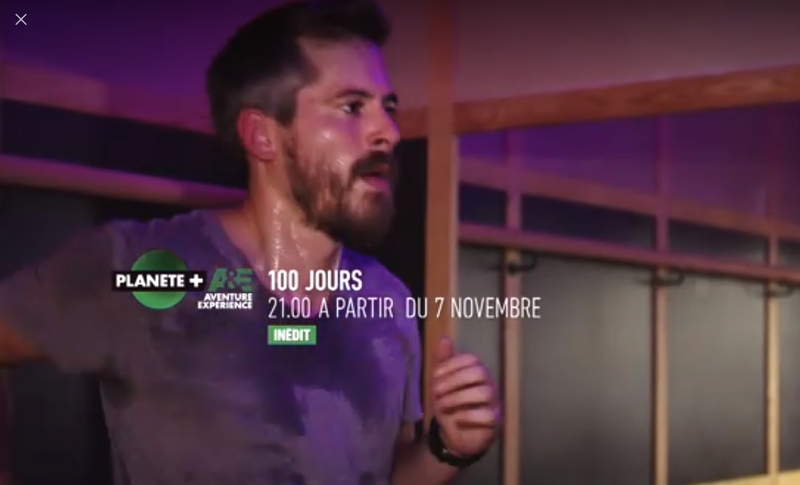 « 100 Jours ». One hundred days is the time available to Marc Mouret, survival instructor and hostile environments specialist to prepare his body and mind to meet outstanding sports challenges. 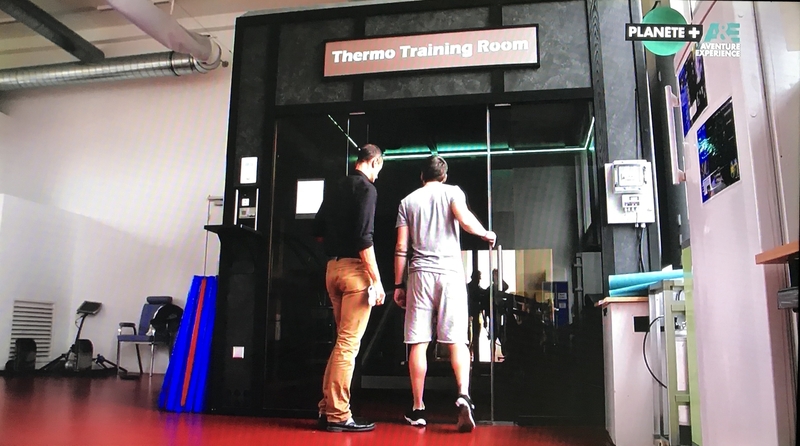 It’s in the Thermo Training Room of the National Institute of Sport (INSEP) that Marc carried out part of his physical preparation. 2 new episodes to discover November 21, at 20h55 on Planete + A&E. To discover November 14, at 20h55 on Planete + A&E. 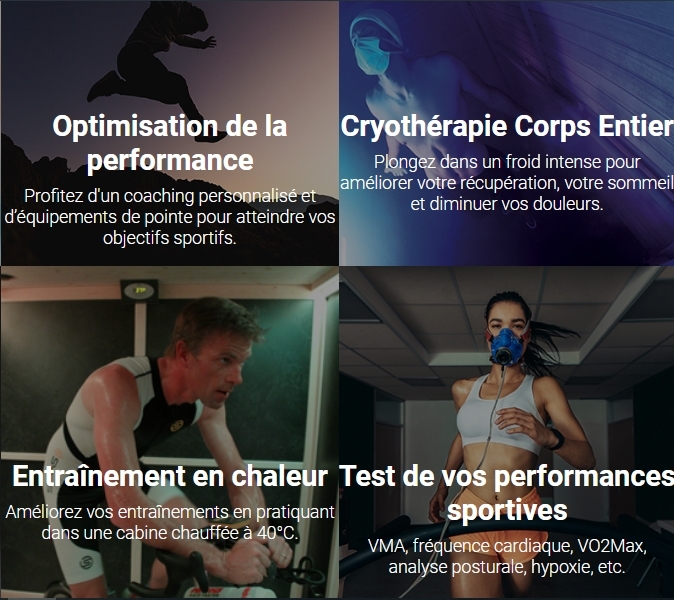 It is now the turn of the personal trainer Maxime Gruson to offer his clients some training sessions at 40°C (110°F), varied, optimized for maximum efficiency. 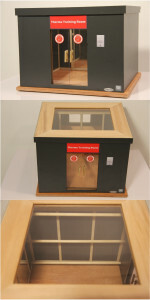 - To eliminate up to 20% of toxins (6 times more than a traditional training). Christophe is present at the Youth Olympic Games in Argentina (Bueno Aires, from October 6 to 18, 2018). 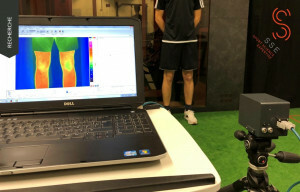 Expert to the IOC, he supervises the Performance Accelerator unit whose mission is to detect the strengths, weaknesses and imbalances of young athletes. 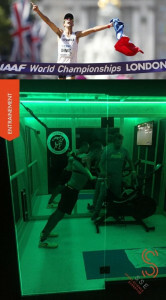 At the end of physical tests, bespoke advice is given to each athlete to optimize his training techniques to avoid injuries and improve his athletic performance. 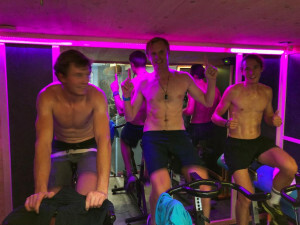 Yohann was accompanied by his physical trainer Teddy Pellerin.